Mister E is the Miami-based artist renowned for his colossal and colourful interpretation of currency. A master of his craft and a true proponent of creativity and revelry, he was the inspiration for the exclusive, Cuvée Mister E: A limited edition of 3,000 bottles, designed by the artist. Traditionally crafted from a single vintage, using superior Glera grapes from our delicately cultivated Conegliano vineyard, to deliver a pure expression of the very finest Prosecco.  Developed to accompany celebration with a finely balanced complexity which complements a lifestyle of enjoyment. Carefully created ‘in bianco’, the delicate sparkle is captured over 60 days to produce a fine, persistent perlage. An intense, very fine and fruity bouquet with a distinct aroma of golden apples against a floral background. Dry, fresh and light in the mouth, soft and well-balanced, with good aromatic length and a memorable, fruity finish.